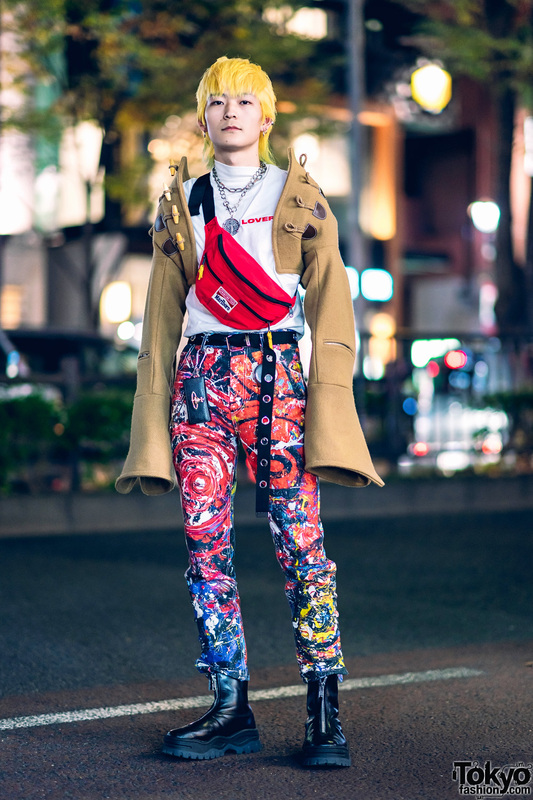 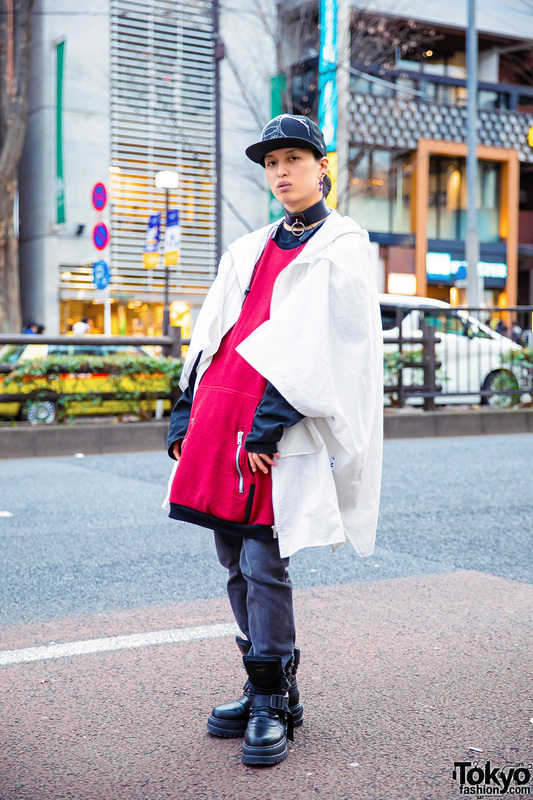 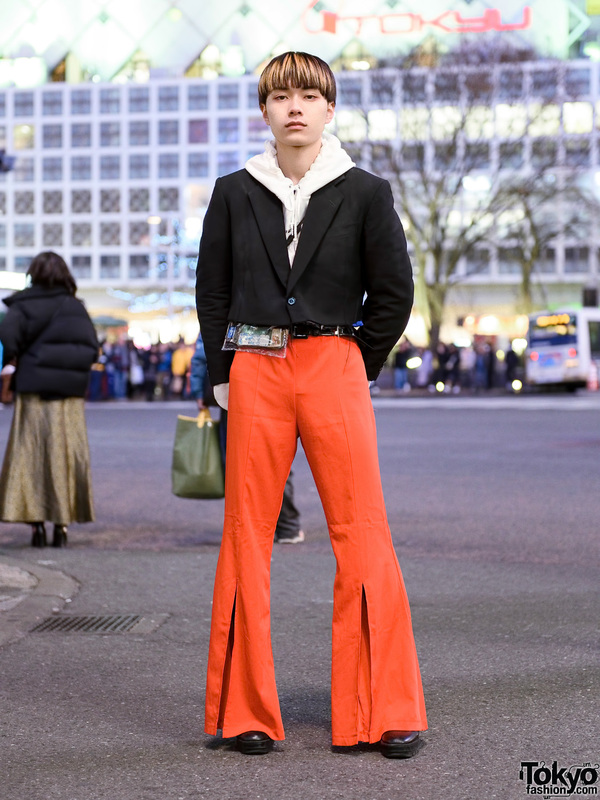 Assistant stylist in Harajuku wearing a white cape coat, red-and-black kangaroo pocket sweater, black denim pants, black boots, and accessories. 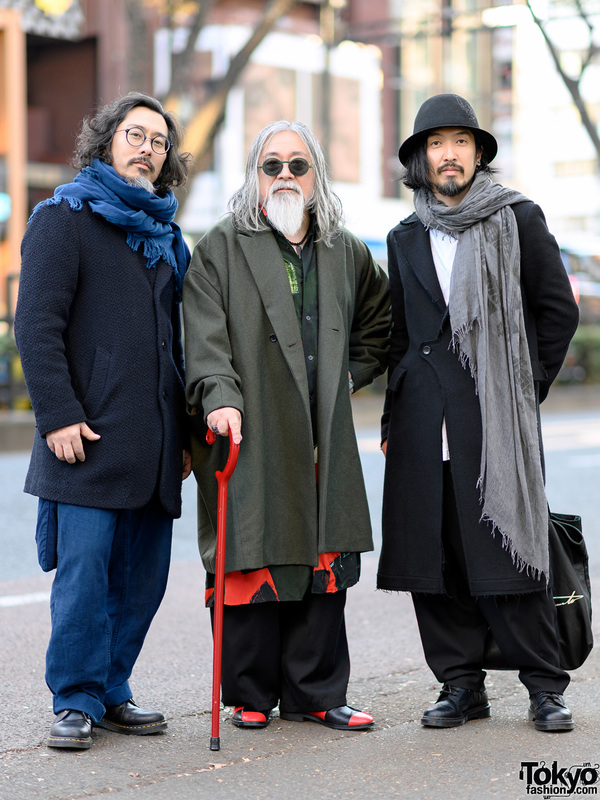 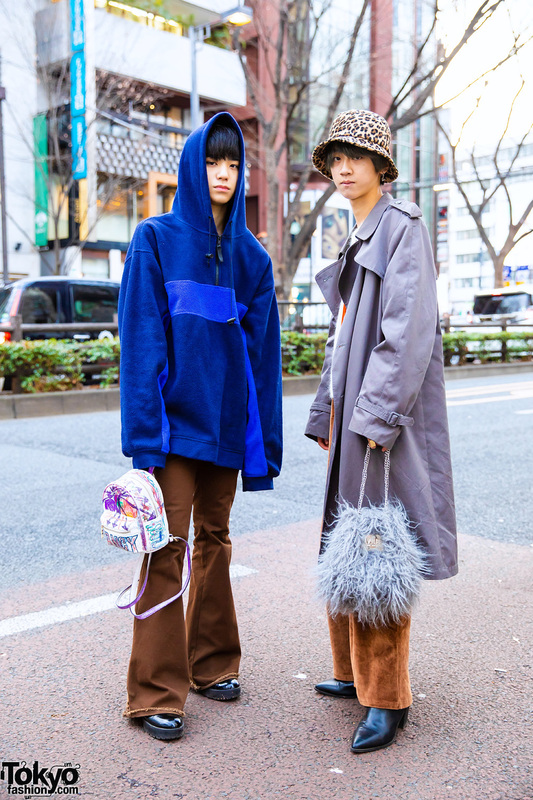 Japanese students wearing maxi coats and vintage tops in Harajuku. 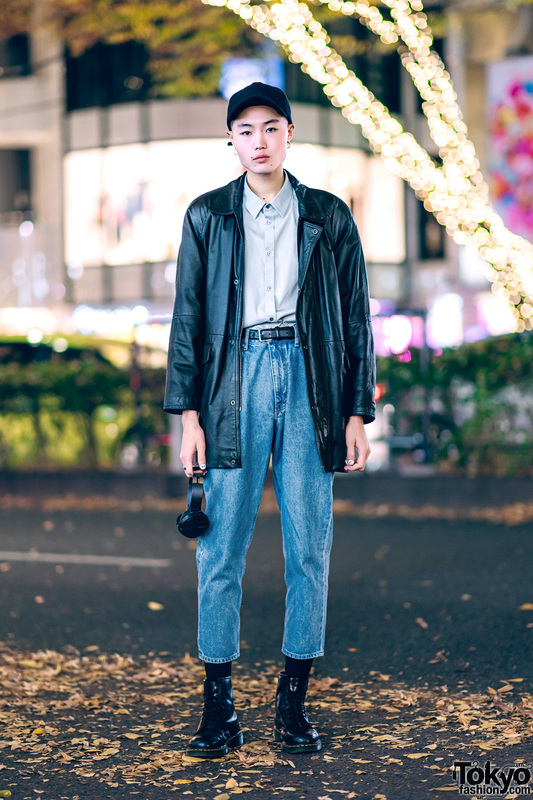 Model wearing a black leather jacket, cropped denim jeans, and black boots in Harajuku. 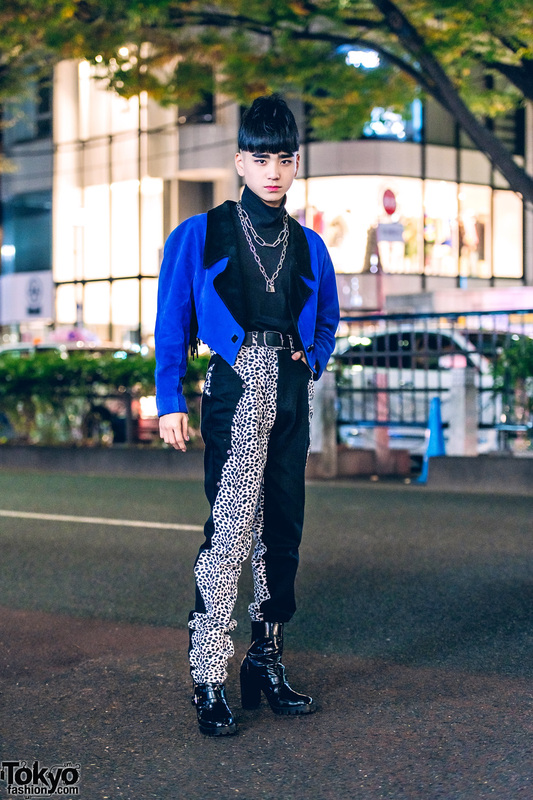 Japanese student sporting a retro vintage look with tuxedo jacket, turtleneck top, leopard print pants and block-heeled boots. 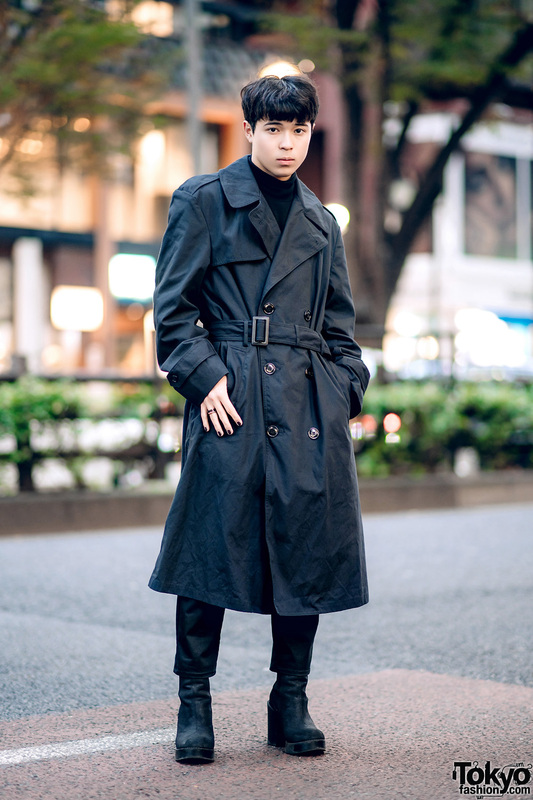 Japanese student sporting an all black menswear street style with trench coat, turtleneck sweater, pants and Chelsea boots while out on the street.